I can recall quite clearly the first bar I walked into in Spain. It was in 1978 when hitching round Spain as a teenager. What struck me were much the same aspects that strike most foreigners when they walk into a Spanish bar nowadays: the noise(the loud TV,loud talking), the selection of tapas laid out on the bar top, the relaxed feeling, the smell of fried olive oil, fresh coffee, the harsh noise of the coffee grinder together with the now characteristic banging of the filter piece of the coffee machine against the coffee waste bin/draw and the local newspaper in some corner which all and sundry can read. In those days these smells,sights and noises were a full on assault on ones senses. My friend who was travelling with me and I used to laugh because the old cliché of the typical Spanish bar having the radio on, the slot machine music blaring out every two minutes(the birdie song on a loop) and the TV on, and a number of gents having a shouting match about the latest football match was so true. And dont forget the slamming down of glasses,cups,plates or whatever on the bar top with that excessive “I am busy” noise. 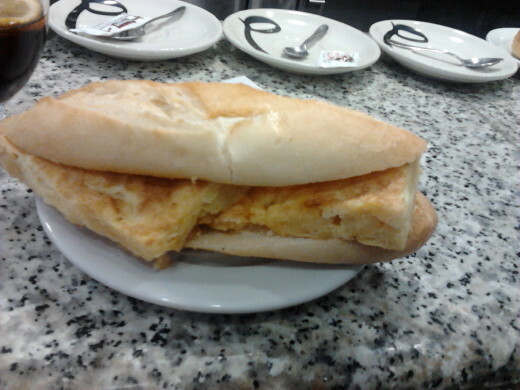 Add to this tapas,bocadillos,beer,coffee, smoke and cologne and that was your standard bar. In those days black tobacco(Ducados or Habanos) was very common and it left a lingering pall of smoke in all the bars,train stations and public offices. Almost anywhere you went. And that classic old fashioned Spanish cologne was also something very detectable in the air. So much so that in later years when visiting Spain these two smells were often the first two smells one smelt when arriving in baggage reclaim or going through to the public side of the airport. They were the two smells that most reminded me of Spain after having been away. Today these two combined smells are now very difficult to find because of anti-smoking regulations and people no longer wear old fashioned Spanish cologne! On the rare occasions I get a whiff of these combined nostalgic sense teasers(almost never) I get fullblown flashbacks to those first years in Spain. A sort of time travel through ones senses. So have bars changed that much over the years?. Well yes and no. Before there were always armies of waiters. 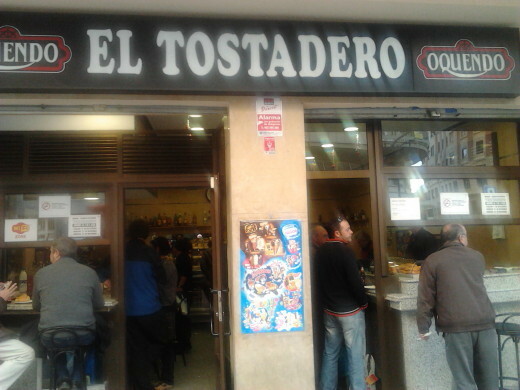 For example in a bar like Barrachina in Valencia I reckon there were at least fifteen waiters all working flat out, shouting orders at the bar in an almost Marx Brothers like chaos.The atmosphere and the bocadillos were famous. It was common to have so many waiters. The food was always good and sometimes amazing but in most places wasnt covered or always in refrigeration. You were normally confronted with a row of tortillas right in your face,strange dishes unrecognisable in their slightly congealed sauce or even a pigs head( I once recall one in Murcia right on the bar top).I also love that a waiter reels off all the things they have rather than giving you a menu…much more fun trying to remember what he said. Bars in general are now more modern,more hygienic and much less noisy. The boom did away with lots of what some people call the “cutre” bar, the slightly more shabby everyday Spanish bar. Slick modern decor, air conditioning and satelite TV have taken the place of thick smoke,the slot machines and the dirty floors.It’s true you can still find the old fashioned type of bar but they are definitely a dying breed. Indeed the old style bar is disappearing fast as are bars in general. It always used to be said that Spain had the most bars of any country in Europe.It is estimated around 12,000 bars closed in the three years between 2008 and 2011. Customers have been driven away by a mixture of new anti smoking laws, drinkdrive law changes and the arrival of “la crisis economica”. Also people dont go to the bar as much as they used to.You dont see labourers,farmers, or city gents knocking back a brandy, anis or “sol y sombra” with their coffee first thing in the morning for breakfast as much as you used to. It was common practice to pop into the bar for a stiff drink before going to work! Now there are few hardline old gents who follow the custom but this early morning habit has nearly disappeared. 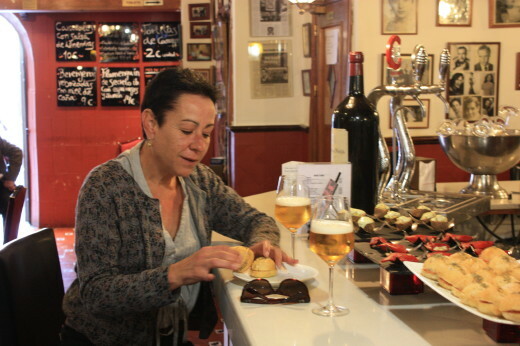 Beer or wine with your almuerzo(mid morning snack),of course, is still relatively popular. I dont mind the new look modern bars but they do lack that rough and ready charm that the old style bars have. I just love a place with good basic food,great coffee, loads of customers and shouting plate slamming waiters. 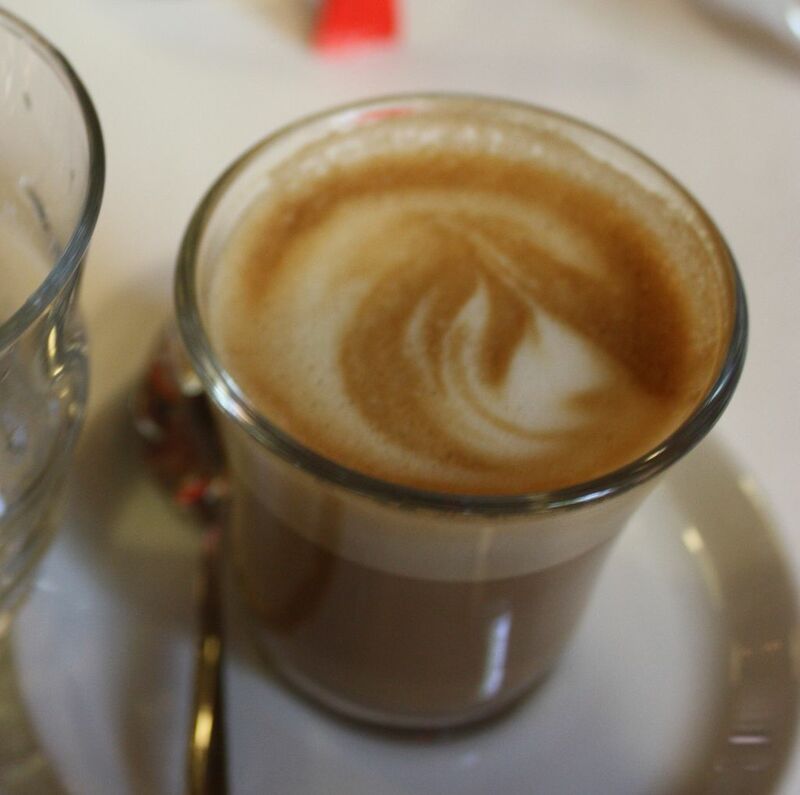 I can still remember the “cafe con leche” I used to drink thirty years ago in Bar La Cosechera in Murcia. It was that good. Progress,modernisation, or evolution call it what you will has reduced the number of good old fashioned bars but out of the 220,000 bars that still exist in Spain I can assure you you’ll always find one of those classic bars if you look hard enough. This entry was posted in Spain, spanish culture, spanish food, taste of spain and tagged bars, breaks, catering, city breaks, coffee, Food and wine tours, food experience, gastronomy, holidays, Spain, Spain for foodies, Spanish Traditions, tapas by Paddy Waller. Bookmark the permalink. If you were a teenager in ’78 then you have a few years on me but I was there the following year as a little boy and I couldn’t agree more about the smells of Spain at the time – olive oil, cologne and tobacco. Also every other man seemed to be wearing a short-sleeved white shirt and have immaculately combed hair. I think Andalusia might be slower to change than other parts, perhaps, as there are still plenty of “cutre” (never heard that word before) bars around and plenty of blue-collar breakfast time drinking. It probably is less though – I’m not in a position to judge that well, having only returned to Spain, and to a totally unknown-to-me part of it, two years ago. Great portrait of a great institution. Thanks for your comment Robin, In ’78 I was 18 and yes you are right there are quite a few breakfast time drinkers especially in los pueblos and more rural areas. Whenever I go to really out of the way places I find it is still common. In the cities as well but certainly less than before.And wellcombed and short sleeved men…yep..very true! Apparently, there’s a bar for every 17 inhabitants on Gran Canaria. Or, at least, there was. There have been plenty of closures here too. Thanks for the comment Mathew….hereon the peninsuls I think it is Barcelona, Madrid and then Andalucia with most bars per capita. Another great article. I’ve been deprived of the hustle and bustle of Spanish city centres, as I’ve only been to Madrid and Arrecife (does Arrecife even count? ), oh and Murcia… but that was just the outskirts. I love the “out in the sticks” places that we have. Socidades, Teleclubs, even converted garajes. It is sad to see these places empty so often now… when they would have been bustling before. But come back the night before a fiesta day, and the old buzz is back again. Nooooo… that wasn’t me playing an old crate like the drums was it? I do like the bright, modern, pristine, clinical bars… but not in our little rural corner of Spain – save those for the holiday resorts. We’re clinging on tightly to the atmosphere and smells… fiercely protective. Give me a glass of wine and some tasty tapas on a wooden bar from a snotty waiter any day! And no, I don’t care that they’re having a sneaky ciggie whilst nobody’s looking. Thank you Elle. Yep the smaller towns and villages really do have some classic places as well.Some of he bars I know in Cehegin,Bullas,Caravaca(all in n.Murcia and in the mountains of Sierra Segura are very special. Been to some great bars in lmeria too. Love the old bars although they are fading in the towns. Still some grand ones up in the hills in the Canary Islands. Old men adding aguardiente to their morning coffeee, rum amd cokes at midday and whatever the cook feels like making for lunch. Long may they last! I think I will have to come and do a tour of those hills! El Tostadero burned 2 years ago, but they worked hard on bring the magic of the old place back and now it is as popular as always. Laura, thanks for your comments..Yep El Tostadero still manages to maintain a special atmosphere and does some great bocadillos. Sadly so many of the classic ones have gone. 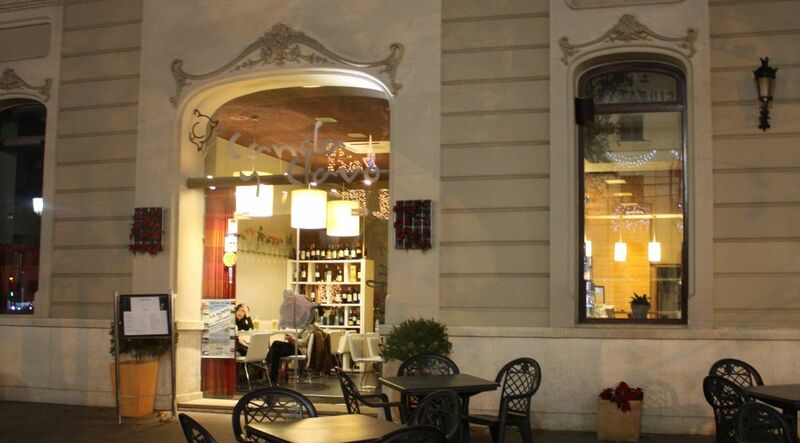 Barrachina in the Plaza del Ayuntamiento was the really famous one when I first came to Valencia.A real experience.